These restaurants will unleash your inner caveman. 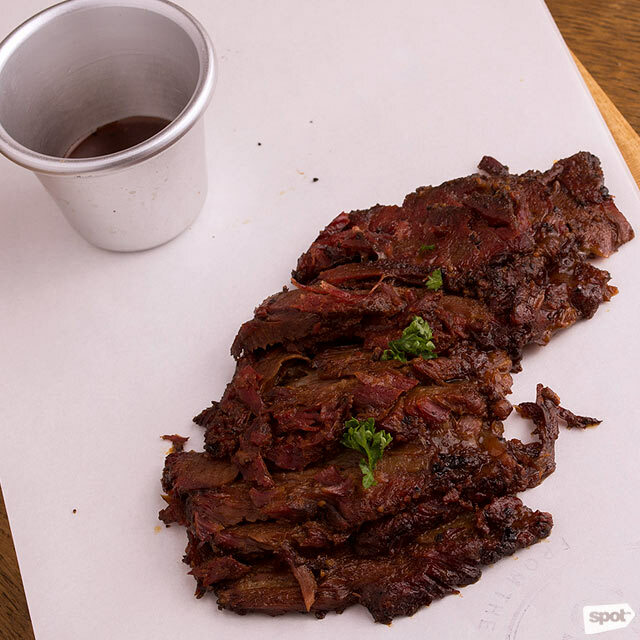 (SPOT.ph) There’s nothing like a hefty slab of perfectly smoked meat to satisfy your carnivorous cravings, with the delicious aroma beckoning you to trade your utensils and just dig in with your hands. 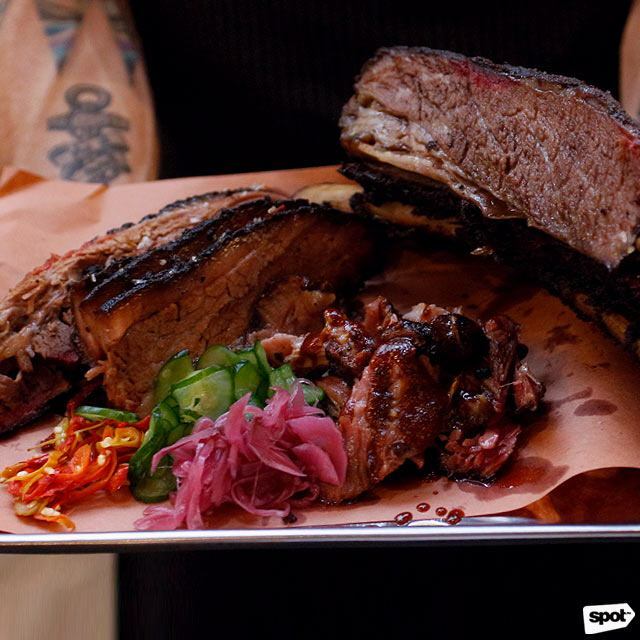 If you’ve got a hankering for some delicious ribs and beef brisket, read on as we round up some of the best places to unleash your inner caveman. One of New York’s best barbecue places finally opened at SM Mega Fashion Hall in December. Pit master Hugh Mangum combines smoking techniques from Texas, North Carolina, and more to create a flavor that's completely his own. Be sure to come hungry because the portions are hefty. The giant Brontosaurus Rib is fall-off-the-bone tender and surprisingly easy to carve for its size, but it’s better to just dig in with your hands. Pair your ribs and beef brisket with Mighty Quinn’s equally winning sides: the Sweet Potato Casserole and Burnt End Baked Beans are must-tries. 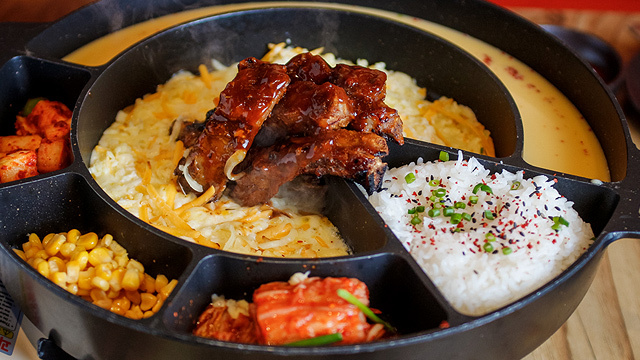 It’s no exaggeration to say that everything on Holy Smokes’ menu is excellent, from the masterpieces masking as side dishes to of course, the meat. So give your belly a pep talk and prepare to have your fill of the warm, tender Beef Ribs and the soft, juicy, and deliciously smoky Beef Brisket. Don’t forget to have them with Holy Smokes’ array of sauces, which do wonders in enhancing the already excellent flavors of the beef. Have some starch with your protein and order the Mac and Cheese or the Potato Salad or just go ahead and order the Cajun Rice or Cilantro Rice. 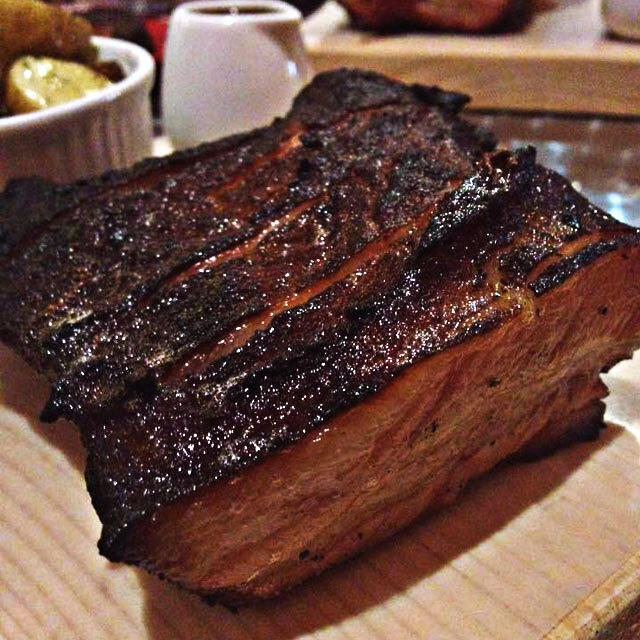 At Fat Daddy’s Smokehouse, it’s all about fuss-free and generously-portioned dishes at reasonable prices. So let your inner carnivore loose and dig your hands into the smoky sweet Barbequed Ribs—and with a half slab going for P280, it won’t even hurt your wallet. 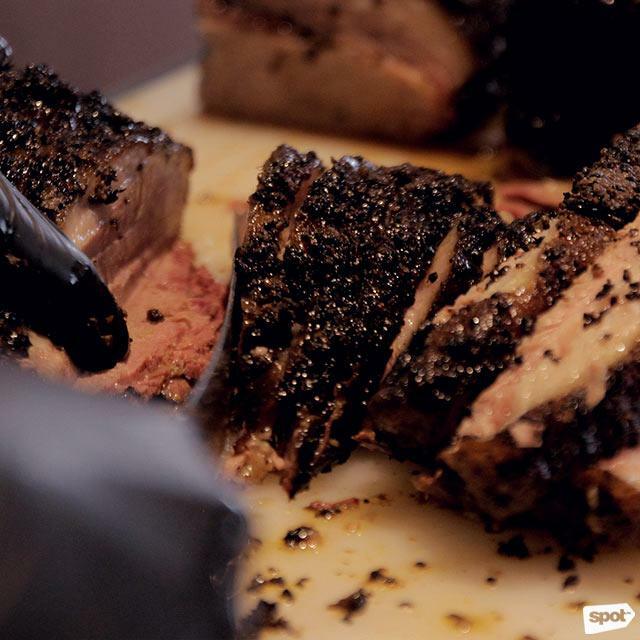 The Beef Brisket is smoked in a black locker for over 16 hours, resulting in thin strips of beef that are tender with a nice bite. It comes with fluffy rolls that are baked fresh every day. 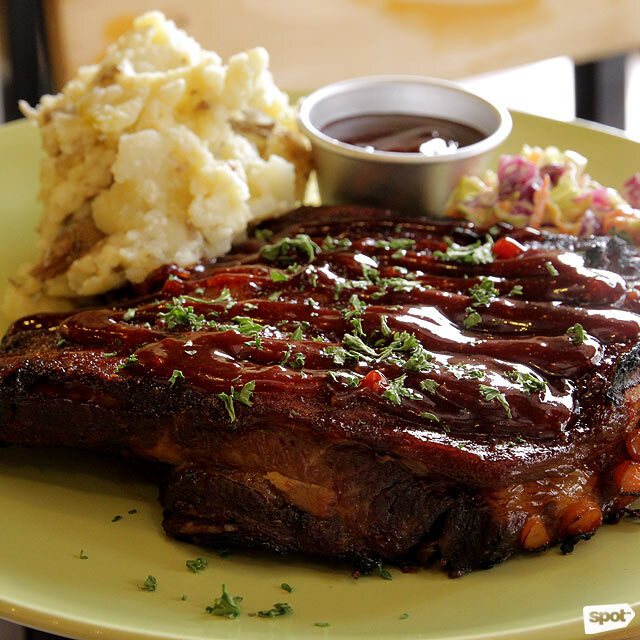 Fat Daddy's Smokehouse is at 171 Dao Street, Marikina Heights, Marikina City, and Burgos Circle, Bonifacio Global City. The menu at The Smoking Joint reads like every meat lover’s fantasy. Before you get overwhelmed, order the Beef Brisket, which is smoked for 12 hours to get it to the right soft and meaty consistency. The result is fork-tender, with the dry rub seeping into the beef during its long stay in the smoker for flavorful juicy bites. Your plate will be wiped clean before you even notice. The Smoking Joint is at 308 Aguirre Avenue, BF Homes, Parañaque City. 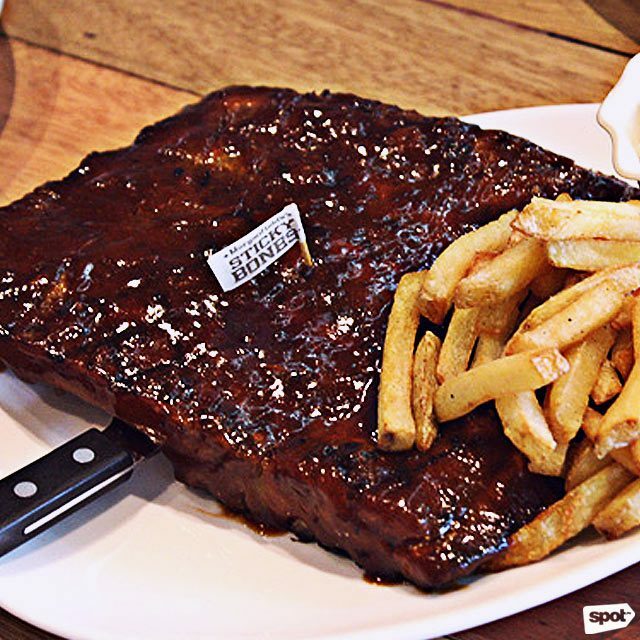 Beeffalo is literally at the end of a long road—specifically Gil Fernando Avenue in Marikina City—but trust us when we say that their ribs are worth the drive. The gigantic Beeffalo Baby Back Ribs are slow-cooked for about five hours, resulting in pork that has reached peak tenderness without losing any of its delicious juices. The entire slab is then covered generously in a delicious glaze. 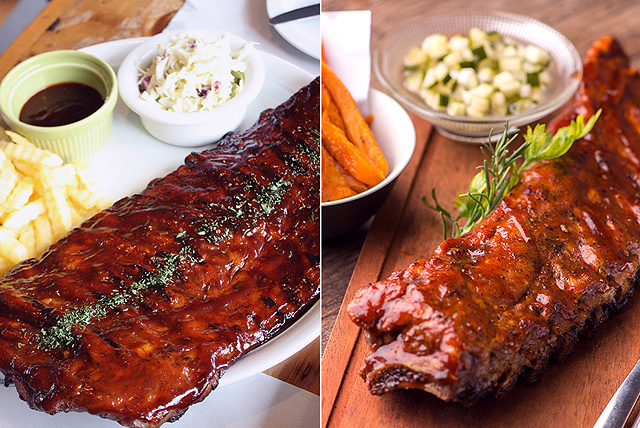 While Beeffalo also offers other American classics, the ribs will definitely be the one to return for. Beeffalo by Hotrocks is at Lot 6, Block 3, Gil Fernando Avenue, Santo Nino, Marikina City. 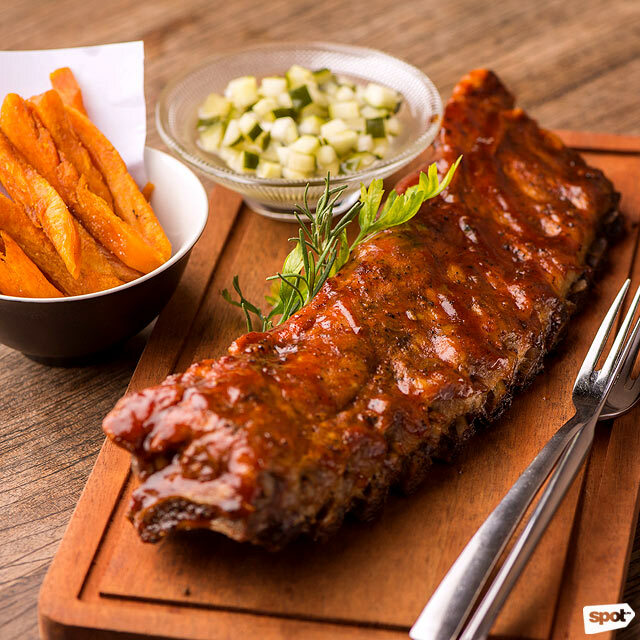 The ribs at Morganfield’s are a challenge you wouldn’t mind taking on—especially when it comes in the form of a 13-inch long rack that is beautifully charred and covered in a sweet, glossy glaze. The Baby Back Ribs are baked for three hours, and then smoked for another hour, resulting in pork so tender that you won't need a knife to cut through it. 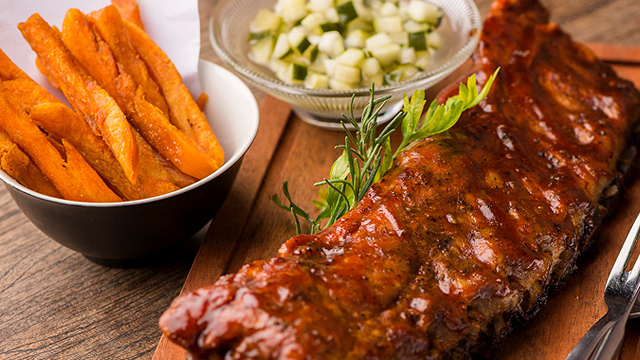 The ribs come in four sauces, and the sweet-tangy flavor of the Hickory is a must-try. 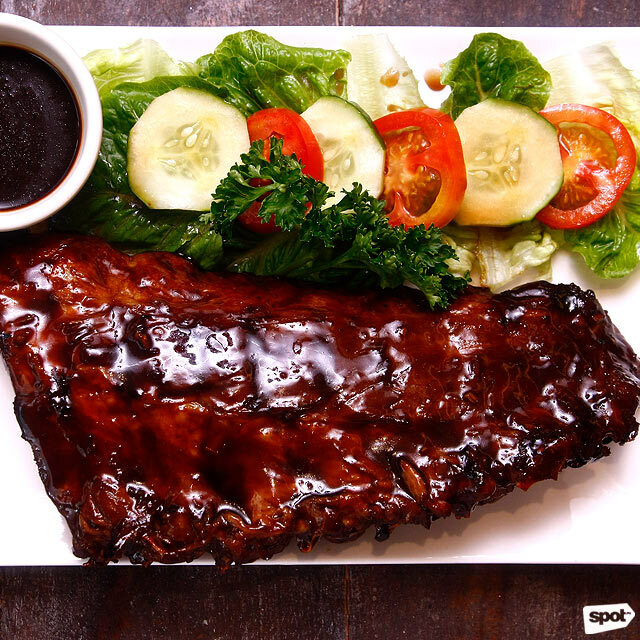 Morganfield's is at 2/F Uptown Place Mall, Uptown Center; North Wing, SM Mall of Asia Complex, Pasay City; and 2/F Ayala Malls the 30th, 30 Meralco Avenue, Pasig City. If you’re looking for substantially-sized meat with a different kind of kick, head over to Latin American joint Pampas. Their Baby Back Ribs are slow-smoked and covered in their special barbecue glaze, but the real winner when it comes to the mains is the Beef Falda, or the U.S. beef short plate slow roasted over charcoal. Pampas also has an excellent selection of small plates to go with your mains—at 7:30 in the evening, a trolley goes around so you can choose your appetizers on the spot. Pampas Latino & Bistro Bar is at G/F Uptown Parade, Uptown Center. While other rib places focus on bold flavors, The Rib Shack is more restrained in their approach, giving you ribs that don’t overwhelm the palate. 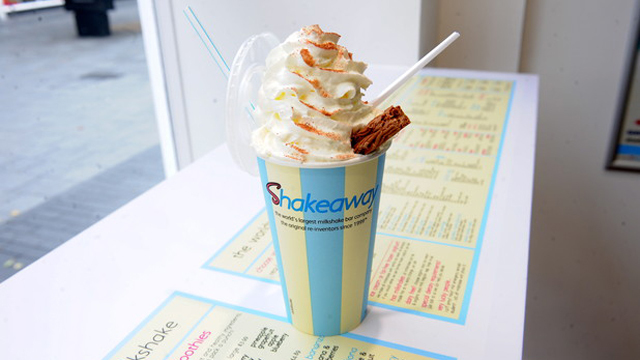 This doesn’t mean that their flavors are less impressive—in fact, the subtlety encourages you to take one bite after another as the taste develops on your palate. Before you know it, you’ve finished an entire rack. 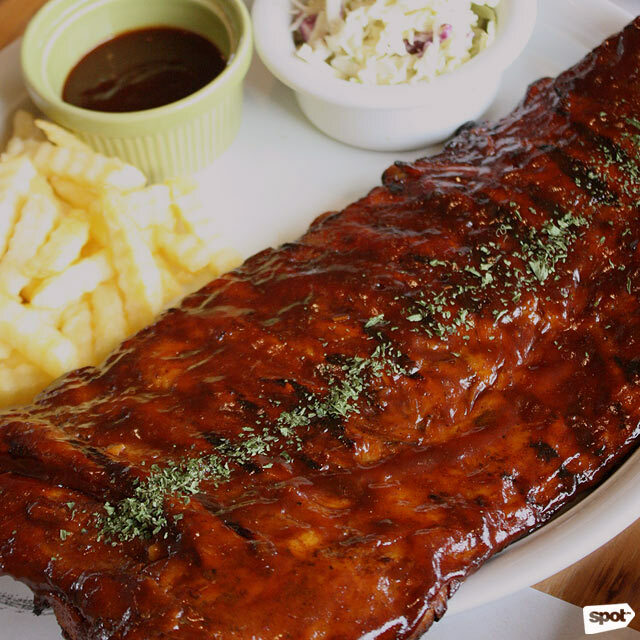 The Rib Shack is at PDC Compound, Pilar Village, Alamanza, Las Piñas City; and 71 Presidents Avenue corner M. Rufino Street, BF Homes, Parañaque City. While the concise menu at Big Daddy Jay’s offers other tempting dishes, it’s really the ribs that you come for. Their take is meat charred a little darker than usual, which practically falls off the bone with just a little gentle prodding, and made even more succulent with just the right amount of fat. The flavor is smoky rather than sweet or savory, a result of the six hours they spent cooking and soaking up flavor inside Big Daddy Jay’s locker. Big Daddy Jay's All American BBQ is at 61B 17th Avenue, Cubao, Quezon City. This rib joint doesn’t have legendary in their name for nothing. Smokin’ Pig Legendary Rib Joint focuses on American comfort food favorites, but it’s the things that come out of their smoker that will keep you coming back. Their Baby Back Ribs can come either Wet, slathered with Hickory Barbecue Sauce, or Dry, massaged all over with Smokin’ Pig’s signature barbecue rub before being finished on the grill. Whichever you decide to choose (or get both on your rack as half-and-half), expect distinct smoky notes and pork that is perfectly charred on the outside, and pink and juicy on the inside. 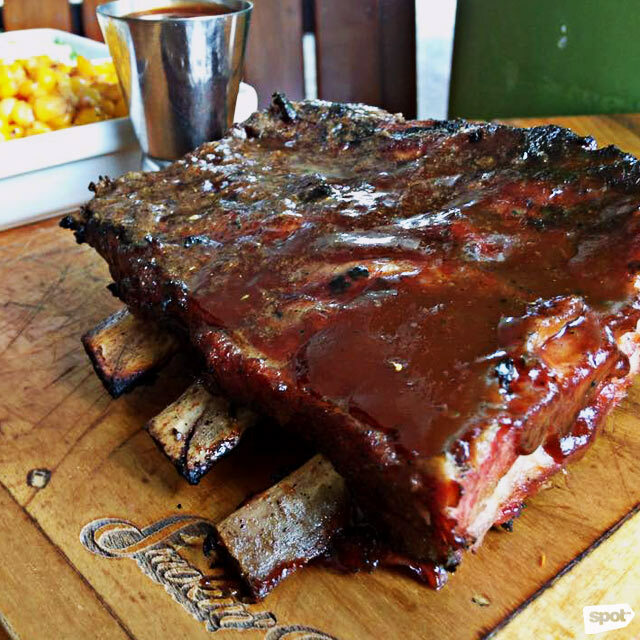 Smokin' Pig Legendary Rib Joint is at Unit 1G and 1H, Greenstreet Commercial Center, Capitol Hills Drive, Balara, Quezon City.